Death to the Fixie | Birmingham Hardcourt Bike Polo, UK. Birmingham Hardcourt Bike Polo, UK. It’s taken me nearly 18 months to level up my polo bike. I only managed to get hold of an upgrade bike following a payout after some degenerate prick stole my work bike. So now I have a better polo bike but a shitter work bike. That’s how much I love bike polo. Once upon a time I found a complete 1970/80’s steel road bike in a charity shop for £5 which I converted to a fixed. After much summer thrashing I got a job as a cycle messenger and was given a choice; ride the company’s python mtb monstrosity or my beloved fixie. Even though the frame was about 4cm too small, and prone to breaking once a week it served me tirelessly. 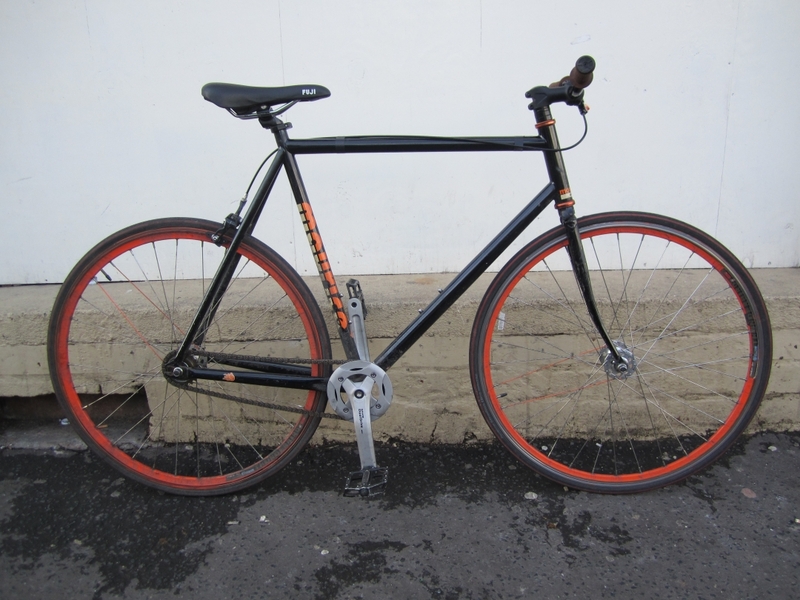 When it finally became a ‘full time’ polo bike – having been my courier/polo/pub/touring bike simultaneously – the rims were untrue-able the headset had three positions due to it’s square bearings and the forks eventually gave way. The ratio was 39×22 (49gi) and I rode it fixed brakeless because it meant I spent little to no money on it and could ride it even though the wheels had 5cm wobbles. From fixed to freewheel I have dropped 5 gear inched and it took me a few sessions to get used to.With fixed gear riding you get a really intuitive level of control and the modulation in speed meant the ball would stick to your mallet. You could sit poised in goal and outlast people who were stuck in corners or even reverse.The drawbacks were shooting, especially under the bb, and braking while speeding into corners – at the 2009 EHBPC I crashed over the barriers and into the crowd landing on a lovely French lady. With freewheel you have ample time to take a shot and then another as you missed the first one because your wind up was way too big. I’m perfecting my one pedal lean and the old legs are enjoying a rest. I need to relearn ball control for freewheel and get a local frame builder to braze on some v-brake bosses so I don’t pound my soft face into the metal fence. 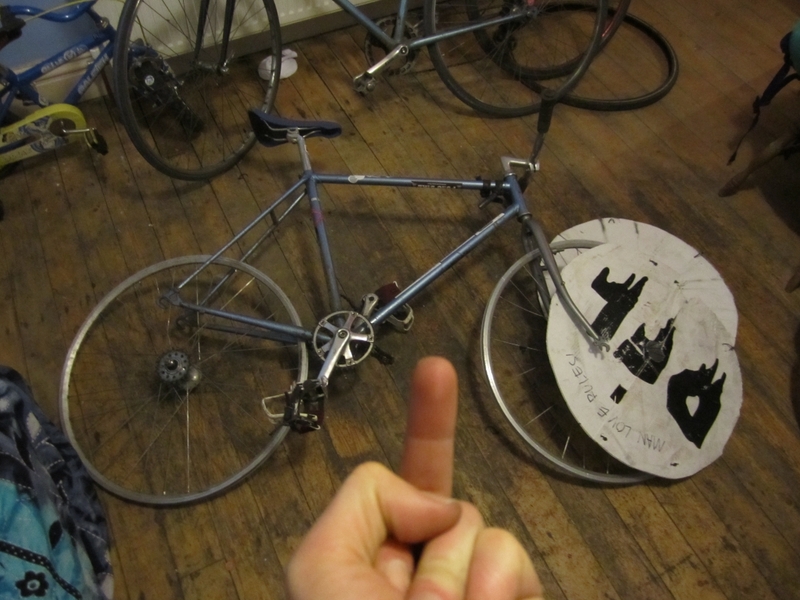 RIP Fixie. See you in Valhalla. This entry was posted in Birmingham Bike Polo. Bookmark the permalink. Woop – nice article. More swearing! Welcome to the world of blogging!